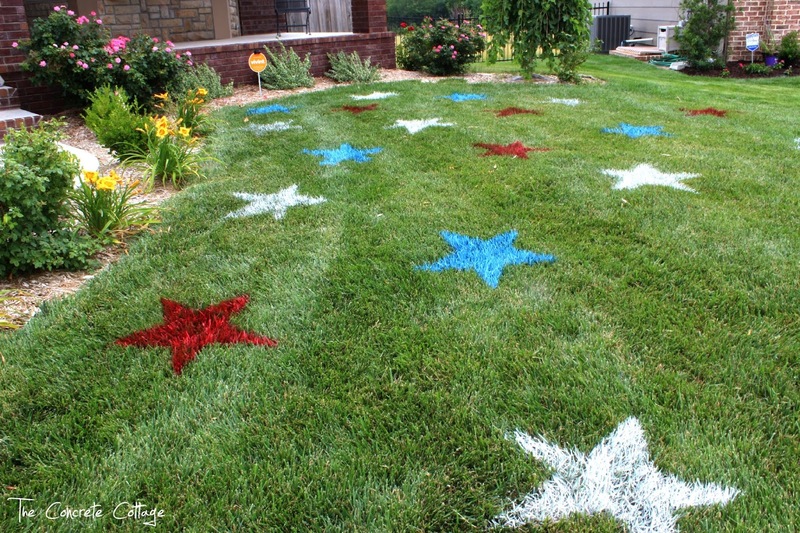 The Concrete Cottage: Happy 4th of July... with painted lawn stars! I hope you all have tons of fun with family and friends today with no unplanned trips to the Emergency Room!!! How totally cute! Love it! Off to see the other posts I missed!